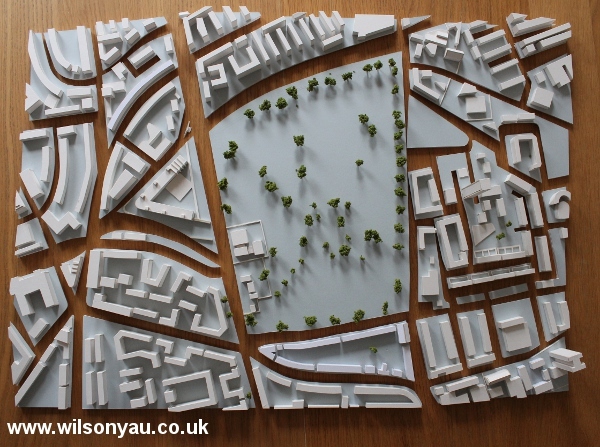 Scale model of Hackney, London, 2008, showing Hackney Downs park, Downs Park Road and Mossbourne Community Academy. Railway lines are shown in red. 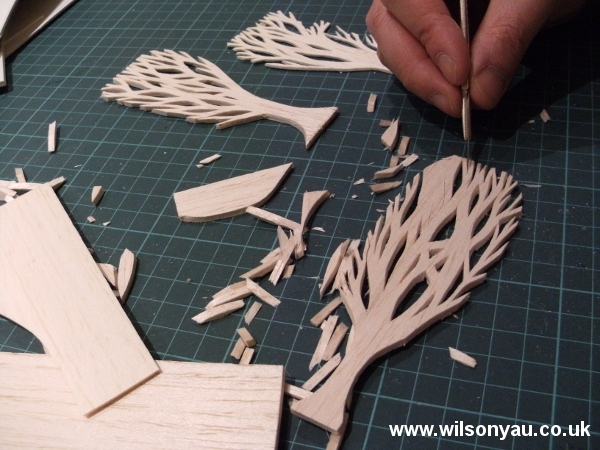 In 2008, through my research at Hackney Archives and my own fieldwork, I created a scale model (1:1500) of the London Borough of Hackney centred on Hackney Downs park. 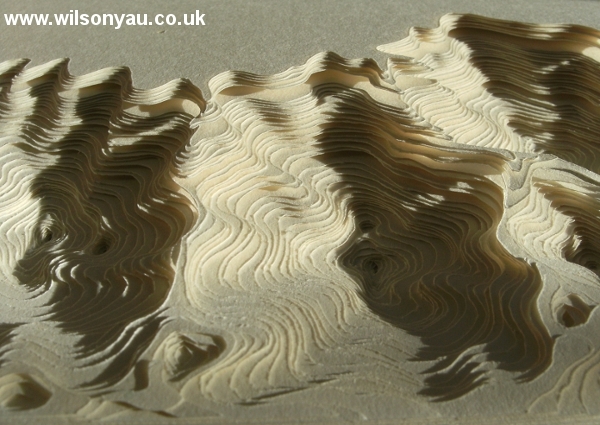 It was A1 size (841 x 594 mm) and was made of mountboard on a foamboard base. 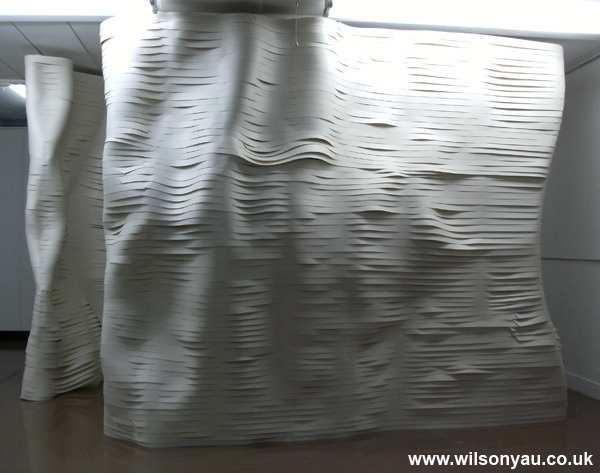 The model was on display at the final show of the Art & Design in Education PGCE at the Institute of Education, London. 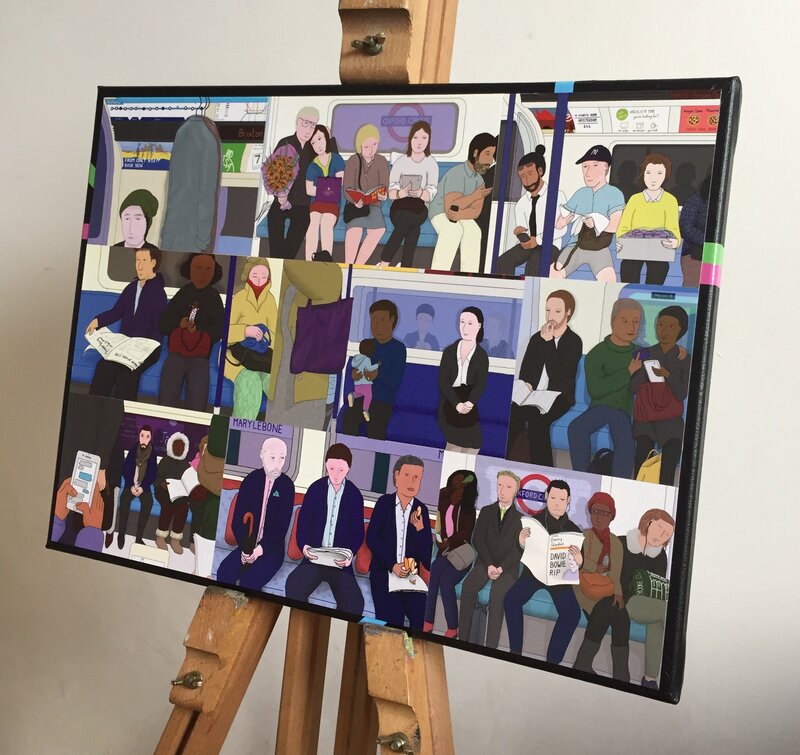 The model was created in a nine-month period during my PGCE whenever time was available between my coursework and the time-consuming stress of my teaching placements. 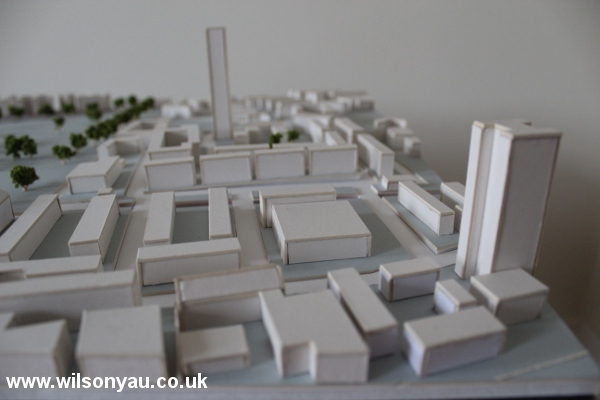 Scale model of Hackney: The towers of Seaton Point and Gooch House north of Hackney Downs park. 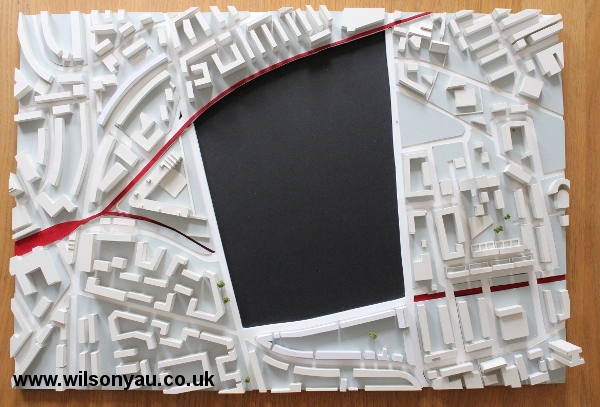 Scale model of Hackney: Hackney Downs park, Downs Park Road and Mossbourne Community Academy. Railway lines are shown in red. 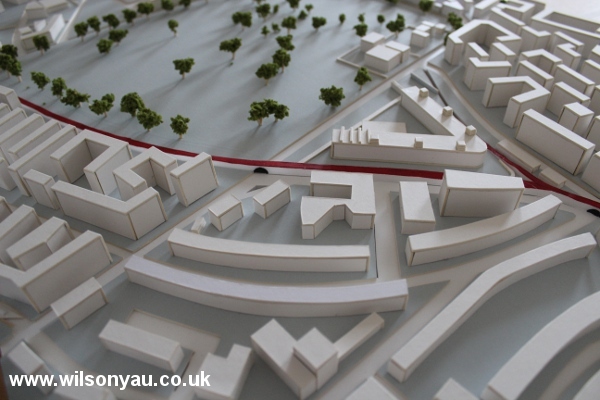 The model was designed so blocks could be removed, either to allow future developments to be added, or as an educational tool to show transport links or to highlight other elements of the area. 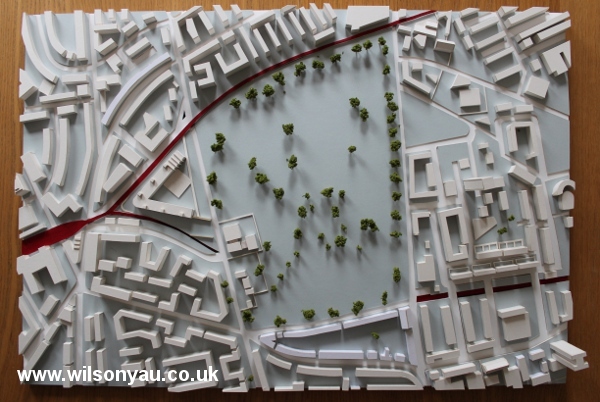 Plan view: Model with central block (representing Hackney Downs park) removed. 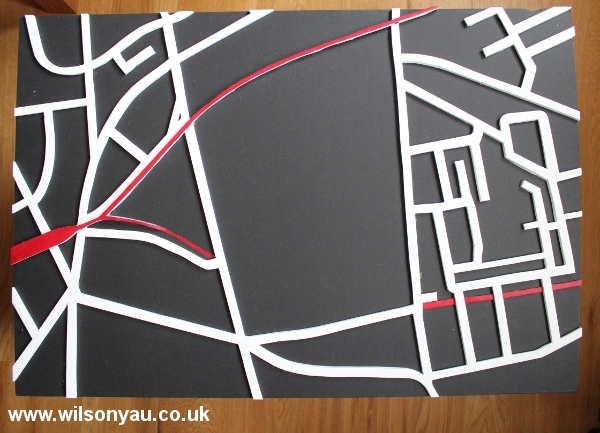 Plan view: Model with all blocks removed to leave only the transport links, roads are in white, railways are in red. 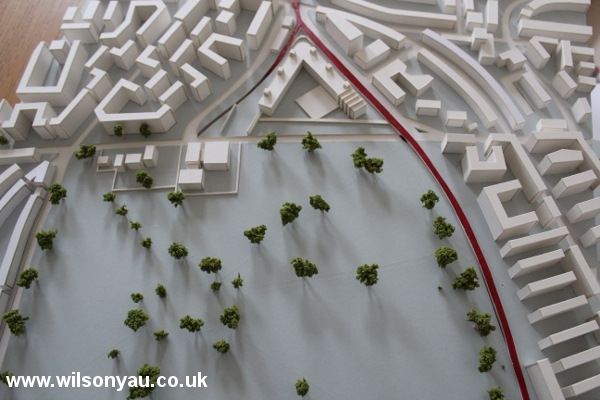 Plan view: The blocks without the base and transport links shown.